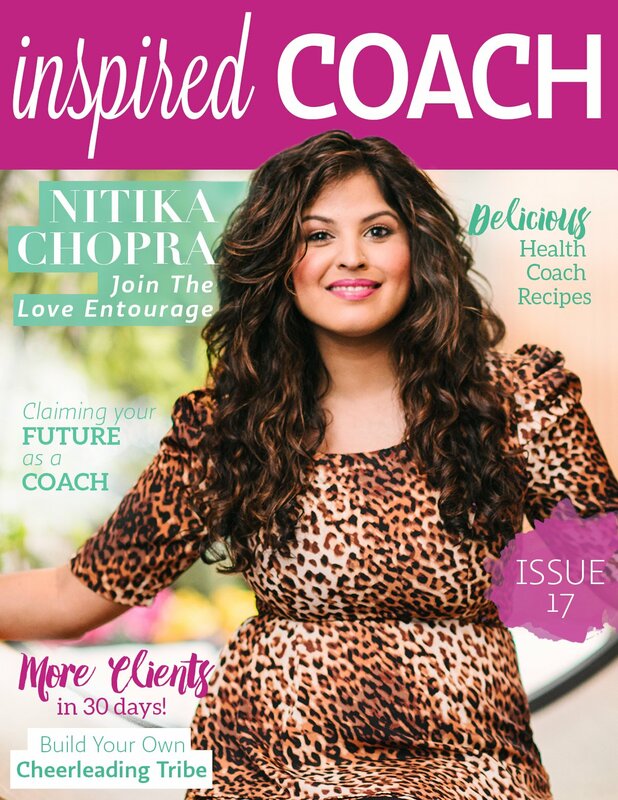 We are so delighted to bring you the beautiful Nitika Chopra as our latest cover coach for inspired COACH Magazine. 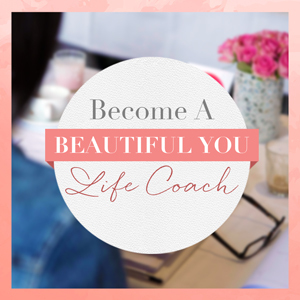 Nitika is an internationally renowned self-love and beauty coach from New York City and runs highly successful events for hundreds of women on a regular basis. And we are so excited to be meeting her in person at one of these events in just a few weeks! 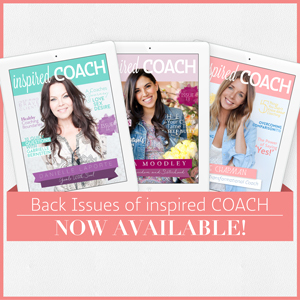 We know you will love learning more about how she has created and built her coaching business. 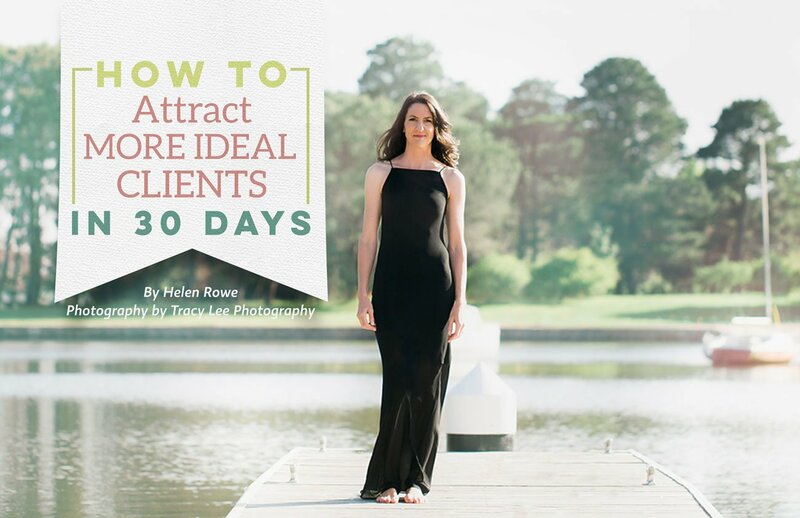 Inside this edition you will also find articles on how to attract more clients (isn’t that something we ALL want! 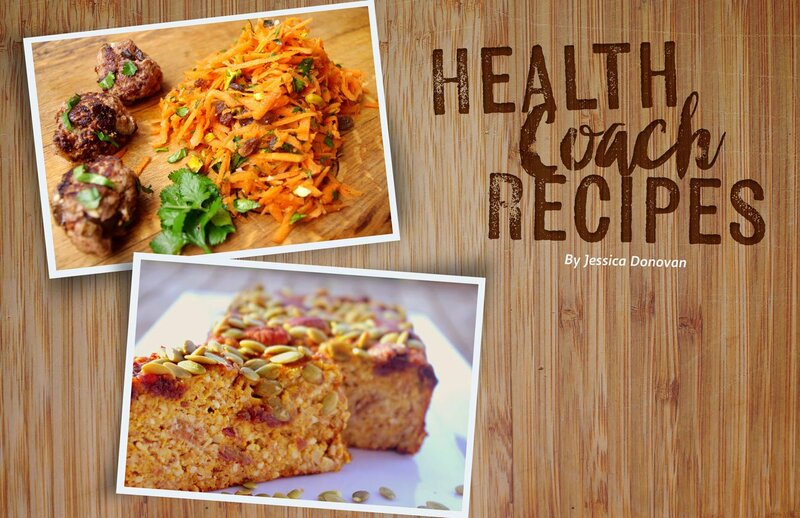 ), the importance of building a cheerleading tribe to support your coaching success and more yummy health coach recipes. 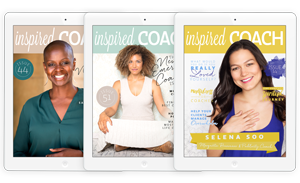 Subscribe for FREE to receive this copy of inspired COACH Magazine with Nitika and new editions every two weeks! And if you love this edition we would love you to share this page with a coaching buddy you love!